This Leeton Child Care Centre fence shares a border with Waipukurau Park, the site of my next remix. I've been enamored with its resonance since I first trialled recording the Park for a remix. 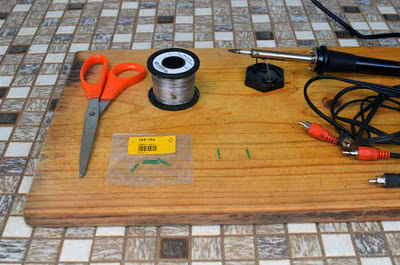 This video demonstrates the fence resonance but also the Daphon brand piezo pick-ups that are part of my recording kit. You can hear the pick-ups seem to be sensitive to surrounding noise, like bird song and my footsteps. 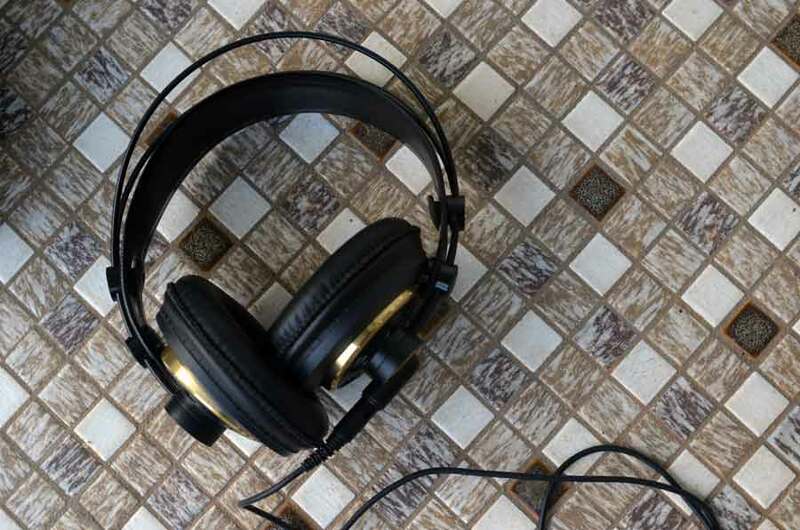 I don't mind getting some of that ambiance because it adds much more potential for the remix to stir a listener's subconscious, either conjuring the location or a connotation. Here's a sample of what's in the next park remix. 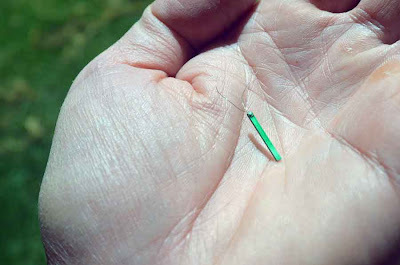 I returned to Waipukurau Park to try stringing a line to bow, a technique first shown to me by Alan Lamb when we worked together as part of the 2006 Unsound Festival. Aside from adapting Alan's technique for a slippery slide, I've been experimenting with changing the pitch while playing by adjusting the tension on the line. You'll be able to hear this in the new track for Waipukurau Park. Waipukurau was the site of my first park remix but I wasn't entirely happy with the result since I ended up using additional instrumentation. This is now my third time recording that park because there's a fence there with lovely resonance that I'm looking to use too. Here's a short overview of how to make your own contact microphone using piezo crystals. This technique was taught to me by Alan Lamb when we worked together as part of the 2006 Unsound Festival. He'd developed this approach for recording 'the wires,' a large-scale aeolian harp modeled on telegraph poles he recorded in Western Australia. 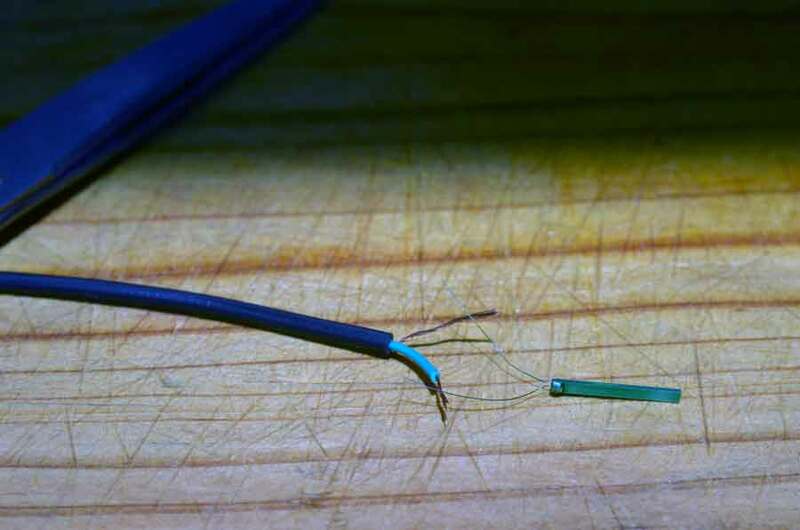 I'm using a couple of piezo sensors (RS part number 285-784), an RCA lead, a soldering iron, scissors or wire strippers, some tape and half a dozen cable ties. 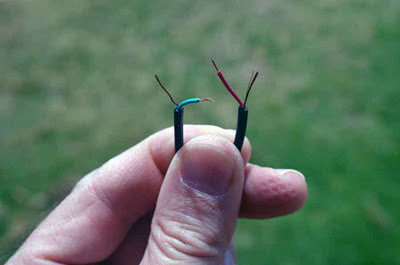 Start by cutting the RCA lead in half and stripping the wires. 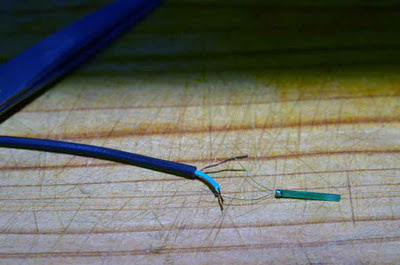 Then get ready to solder the two connections on either side of the piezo onto the wires of one of the RCA leads. The tricky part is soldering and it's worth double-checking you've got the connection firmly soldered before proceeding. Once the piezo are attached, you need to insulate the wires again. 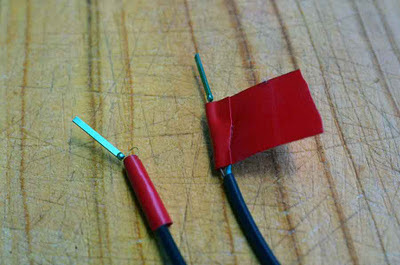 I use electrical tape and carefully wrap it around one wire and then around both. 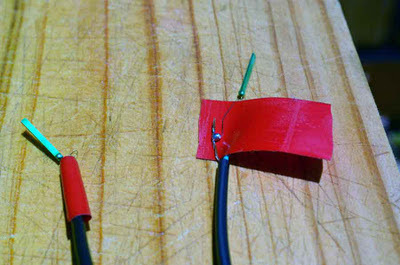 Once insulated, I attach the wires and piezos to matchsticks with cable ties. You can use glue for this but I couldn't find anything suitable today. 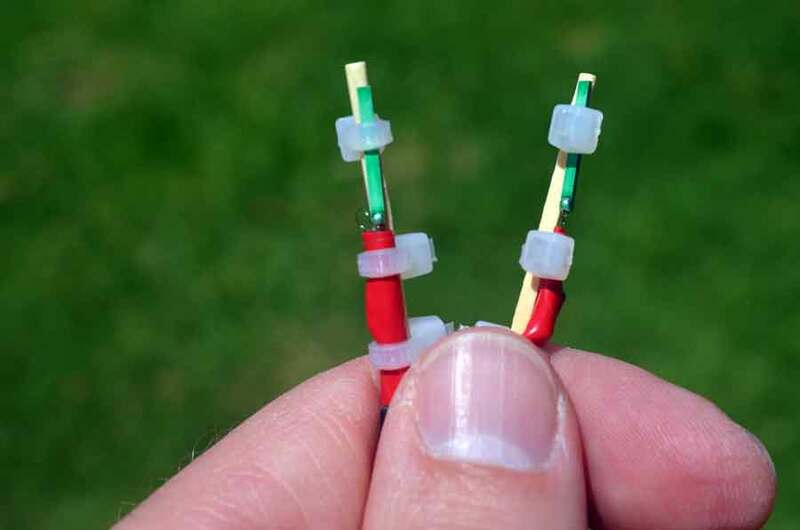 Alan used a sealant to weather-proof the piezo after gluing them to 'the wires' and this can extend their life considerably. These piezo contact microphones are great for a wide variety of applications. Today I tried using them to record a biscuit tin being used as a hand drum. I've used blu-tack to apply them but you can also sticky tape them onto a surface for temporary application, or longer depending on the tape used. 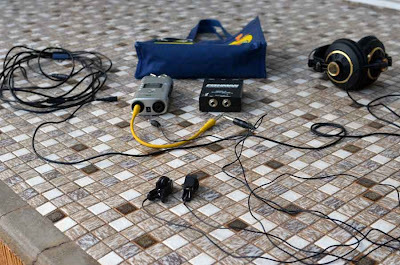 One common problem is a humming sound, which can be eased or removed by earthing the object being recorded. 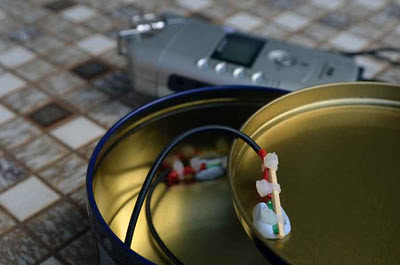 The biscuit tin was earthed when I held it but the Zoom H4 recorder also needed earthing by sitting it on my lap. You can hear a short demonstration of the biscuit tin hand drum recorded in stereo with two piezo contact microphones below. This week I visited Enticknap Park for my remix project. It has a smallish playground with swings, see-saw and the same type of slide as Wandoo Playground, Waipukurau Park and also Ramponi Park. It was a bit of a challenge to make this track. I think I'm beginning to get a bit bored with the similarity in the sounds I've collected and it'd be nice to find something inspiring to manipulate but I've held off on visiting some of the bigger parks until I get a new microphone that's on order. While working with Alan Lamb in 2006 as part of the Unsound Festival, I mentioned that I'd been thinking about recording the water distribution tank that shared the hilltop with 'the wires' he and Scott Baker had built outside Wagga Wagga in 2004. Alan encouraged me to put a bead on the end of a wooden skewer to tap around the structure and locate harmonics. 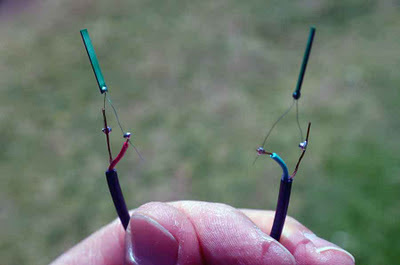 It was the first time I'd considered that physical objects other than guitar strings and 'the wires' had harmonics. This thought returned to me while recording Wandoo Playground and I've been spending more time finding the harmonic sweet spots to place the piezo pick-ups and to tap for creating sounds. These harmonics form and integral part of creating tracks from the playground equipment and contribute to the melody and chordal progression. 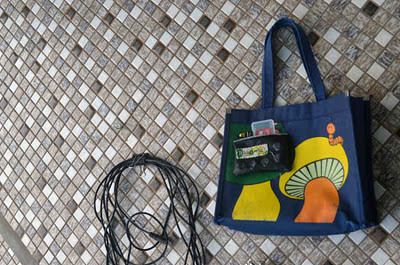 This is the gear I've been using to record sounds at playgrounds recently. 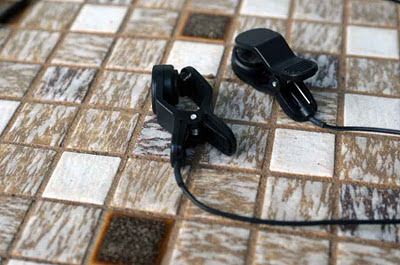 These are Daphon brand piezo pick-ups. I bought them from Swamp Audio. 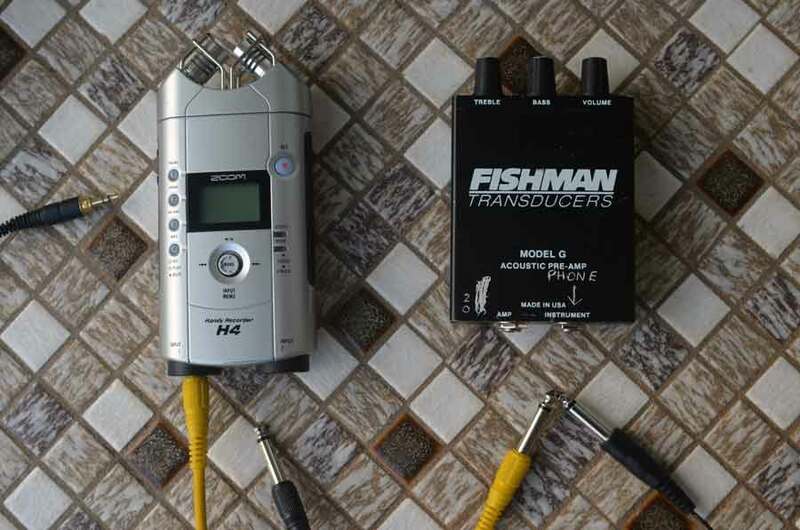 A first generation Zoom H4 and a Fishman transducer, which works like a microphone pre-amplifier and equaliser to increase gain and shape the sound. Usually I beef up the bass since I'm recording with another pick-up also but I've long thought that piezo sound a bit weak -- which is what led me to experiment with guitar pick-ups on the large-scale aeolian harp built by Alan Lamb and Scott Baker. A pair of closed headphones are essential, of course. The small pouch from my friend Janine Middlemost holds spare batteries and SD cards, while the bag holds everything together while I'm riding around town. 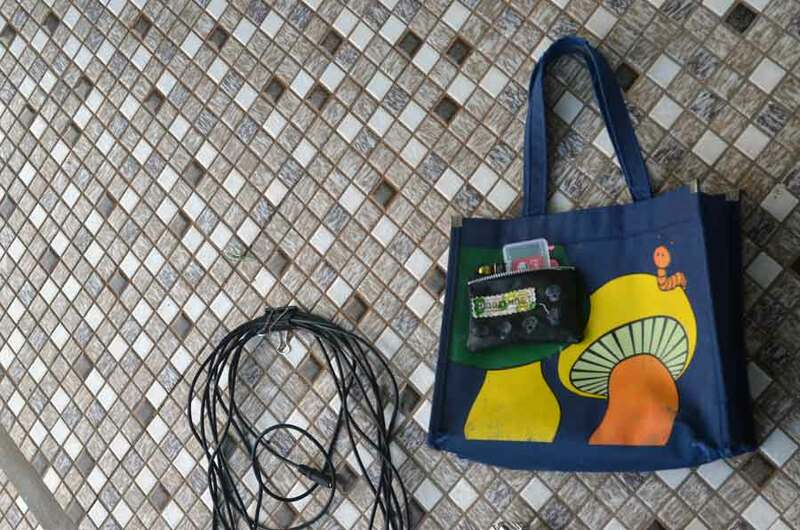 Just noticed that both the pouch and the bag feature mushrooms, which is an interesting coincidence and makes me wish I had a magic mushroom story to give it relevance. For the videos I'm using a Nikon D5100, usually with an old Nikkor 35-70mm f2.8 lens and a tripod. P.S. Just read this interesting post on contact mic recording and it's worth having a look if, like me, you wonder why piezo sometimes sound a bit weird. Here's the result of my visit to the park that's at the heart of Leeton and the setting for many town events, like the upcoming Light Up Leeton concert for Christmas. I've stuck to the playground here though. On Saturday I braved the hot sun to visit Wandoo Playground to record another park to remix. I think this spot also goes by the name Griffin Park because it was created by Walter Burley Griffin when he was consulted on the design of Leeton. You can see from the video that I only used sounds from the slide and a wooden bench. The sign for the Playground has a good pitch but my pick-ups wouldn't fit onto the frame. The day was hot so I left with only a few recordings but I must be getting better at hearing what's likely to be used because I'm pretty happy with the result. After Waipukurau Park I opted for a playground with more equipment to find new sounds and inspiration for this, the second track I've created as part of my Leeton park remix project. While the sounds were all recorded on location, they have been re-pitched, looped and stretched to create the track. Sadly my camera battery ran out before I could show how thumping the plastic slippery slide provided the sound used for a kick drum.